Cinnamon is a popular spice, promoted for its ability to control blood sugar levels in diabetes. Clinical trials using cinnamon in diabetes though have mostly been small in number and haven’t always shown a positive benefit. With more clinical trials recently published, a new scientific review is painting a more positive picture of how this humble spice could have a role to play in managing diabetes. The idea of using the traditional spice cinnamon to control blood glucose levels in diabetes is an attractive one. Cinnamon contains compounds that show effects similar to insulin, which has the flow-on effect of helping to remove excess glucose from the blood. Using cinnamon in clinical trials has shown mixed results in people with either diabetes or a condition of pre-diabetes. A review published in 2012 of 6 clinical trials concluded that cinnamon did show a small benefit in improving glycaemic control, but the magnitude of the effect was very small. Since the 2012 review, more clinical trials have been available to consider. Included in the new research review, 10 clinical trials of sufficient research quality made the grade. Collectively, these trials involved a total 543 people. Doses of cinnamon varied from 120 milligrams to 6 grams per day and treatment length ranged between 4 to 18 weeks. The clinical outcomes from the review were small in magnitude, but were statistically significant. A decrease in fasting glucose, total cholesterol, LDL cholesterol and triglycerides, with a rise in HDL cholesterol all pointed to a favourable benefit. The downside of the review was that the variability in the clinical outcomes between studies was high. 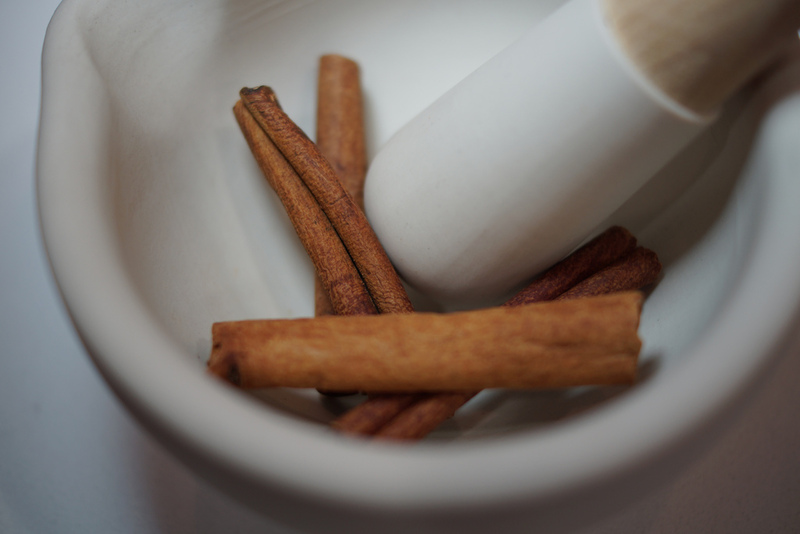 Differences in dosage and timing of cinnamon likely explains much of the variability, which makes it hard to translate the results into patient recommendations just yet. Cinnamon is a tasty spice that adds flavour to many foods. The question of if cinnamon has a clinical role to play in managing diabetes is still unanswered, but the signs are positive. Until the questions of dosage and duration are more clearly answered, cinnamon cannot replace lifestyle changes and prescription medications just yet. No, it can’t…but it’s damn tasty and I’ll continue adding it into my already relatively healthy food choices!